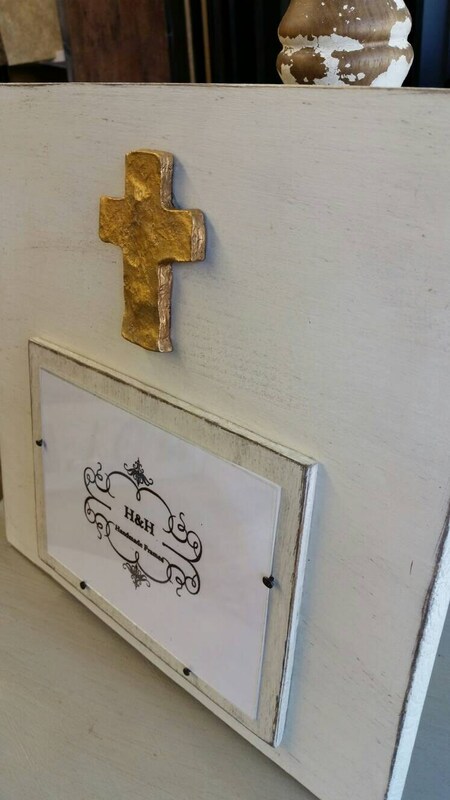 Handmade Wood Frame Painted Oyster White Distressed With A Gold Leaf Cross - Wedding - Baby - Baptism - House Warming Gift. 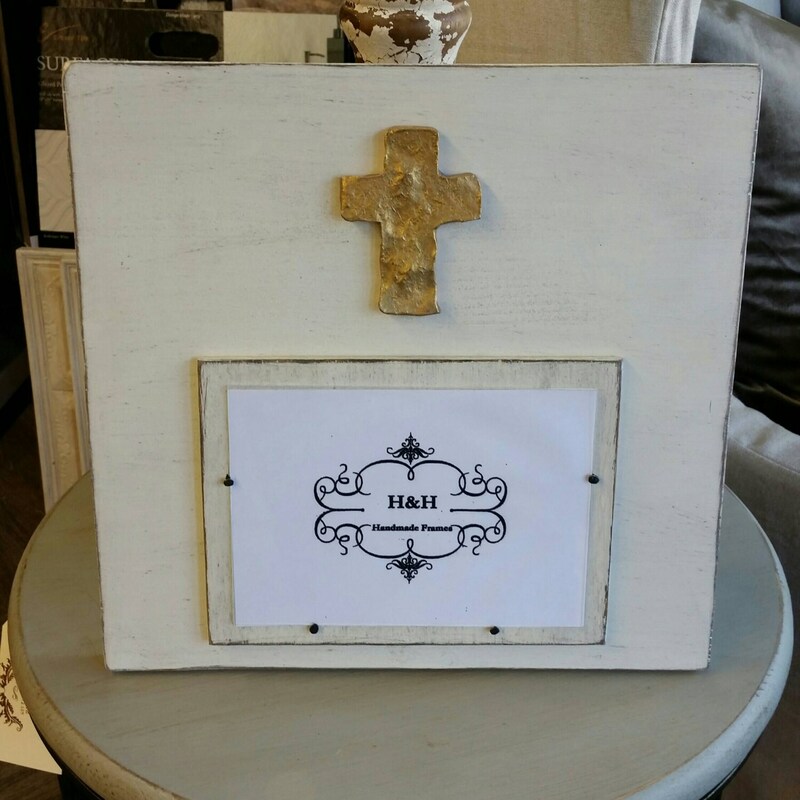 Outside frame dimensions 12"ht x 12 1/2"w and holds a 5 x 7 picture. 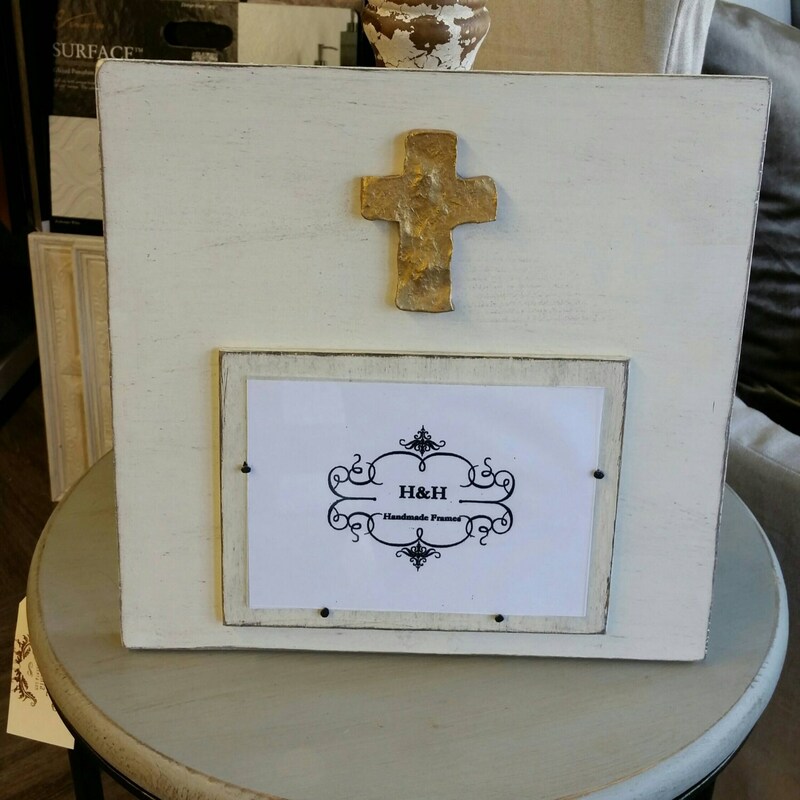 Color - Oyster White with a distressed finish and a wood mat dark wax and sealer. 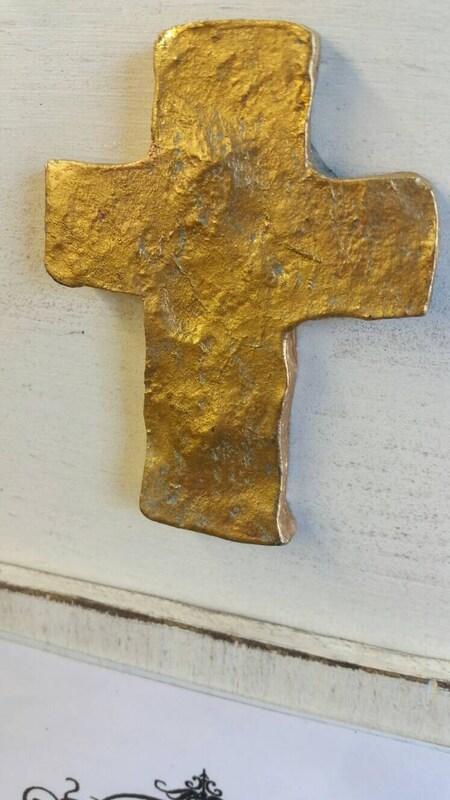 And a Gold Leaf Cross at the top. 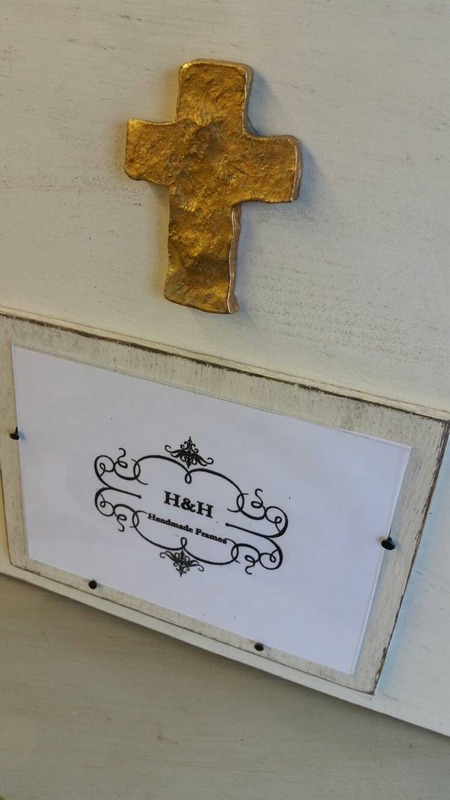 The frame that is pictured is the one you will receive.